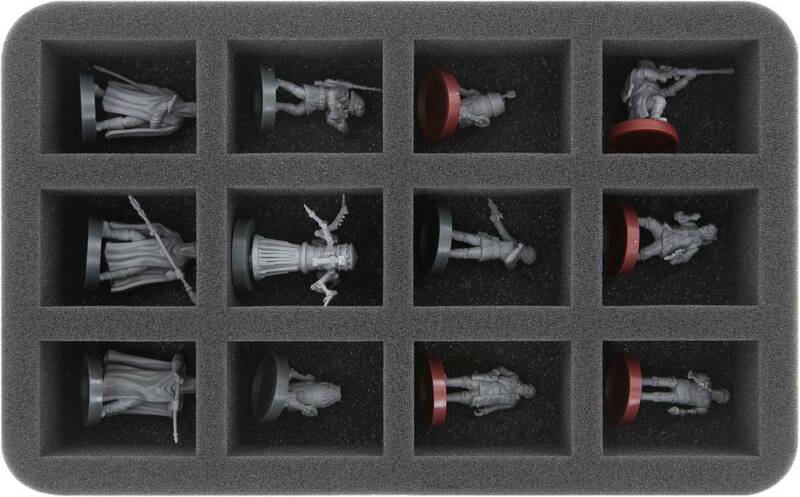 With this Half-Size foam tray you get a safe shelter for up to 12 Star Wars: Legion figures. The compartments are suitable for most trooper, commander, or specialist models. The separate storage of the miniatures ensures that flamethrowers or lightsabers remain ready for action. It also prevents the figures from slipping around and colliding during transport. 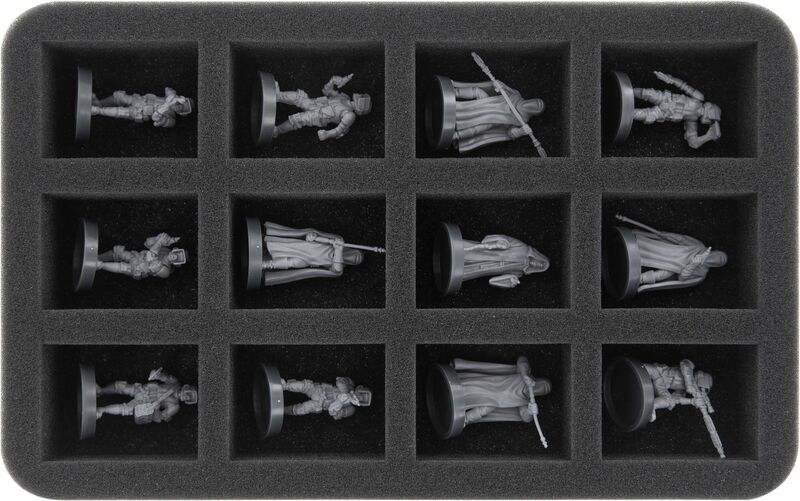 Thus painstakingly painted miniatures are safe from abrasion and annoying scratches. Each of the 12 compartments is 54 mm long x 41 mm wide x 30 mm deep. 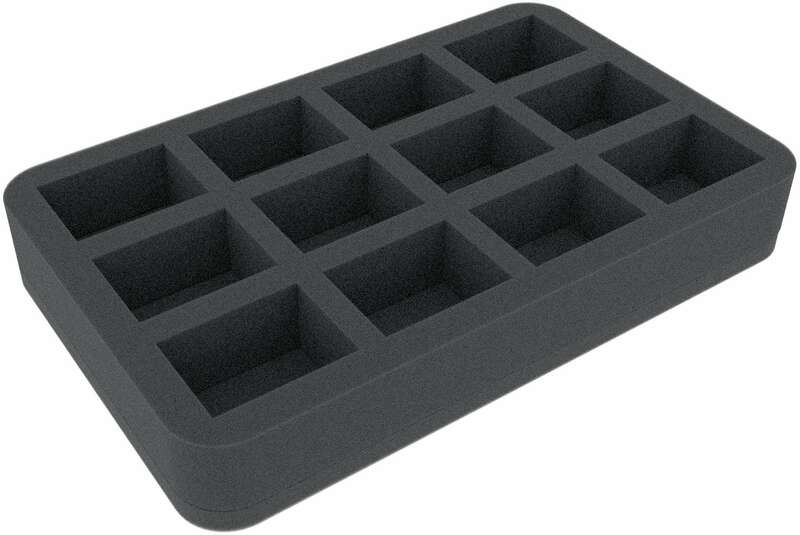 The tray has the dimensions: 275 mm x 172 mm x 40 mm total height (30 mm usable height + 10 mm foam base).